Anyone who knows me in real life, or has followed My Perfect Breakdown for a little while, knows that I over commitment myself ALL THE TIME. Well, I did it again. Or rather, I just did it to the MPB family on behalf of Little MPB. You see, registration for winter extra-curricular activities has come and gone. 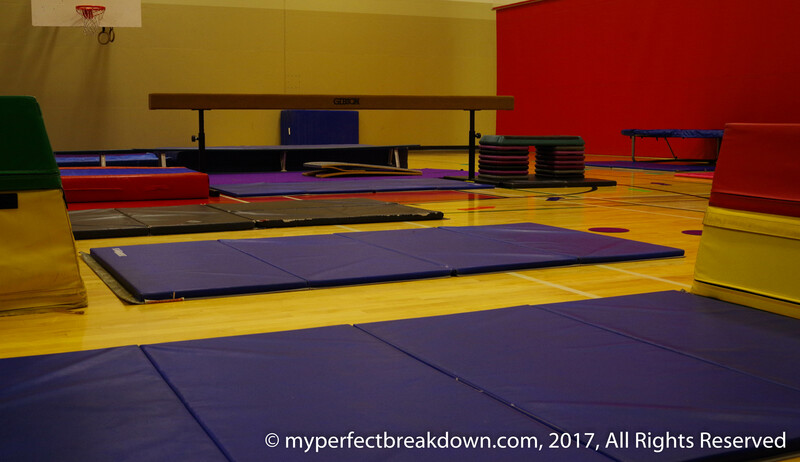 And, due to our experience with gymnastics in the fall, I learned that a local recreation centre offers a tonne of great programs for toddlers. So of course, I investigated all of them, and I think I went slightly overboard. We decided to keep Little MPB in baby gymnastics because he loves it and because we love that he is learning to climb and explore in a safe environment. We also decided to continue with weekly swimming (albeit with a better bathing suit for me). Personally, swimming is my favourite activity because Little MPB LOVES the water so much and it’s our thing. (Mr. MPB doesn’t really like swimming, so it’s always Little MPB and I in the water). Also, asides from being our special activity, I see swimming as a basic life safety skill so he has no choice but to take swimming lessons. And, against my better judgement, I decided to also register Little MPB for toddler skating! Skating is literally a Canadian past time, it’s something basically all kids do and enjoy (I figure we love it because it makes being outside in the freezing cold slightly more fun). So how could I not register Little MPB? Also, Little MPB loves his books about hockey, he loves his hockey stick, he loves watching hockey at the local arena on the way to gymnastics – clearly he already has a love for hockey, and skating is the first step to learning to play hockey. Also, I am hoping the weekly skating will become a special activity for Mr. MPB and Little MPB to do together. But, the only problem is that I’ve now committed us to 3 weekly activities for almost 3 months! I am trying to convince myself (and Mr. MPB) that January-March tend to be the coldest winter months so having 3 indoor activities scheduled may actually help keep us active and sane. Also, I figure we can miss the odd class if we just need a break because none of these classes are team sports so we wont be letting down a team if we have to miss a class or two. But, I am a little afraid that I’m transferring my ability to over commit onto Little MPB. Ops! Those all sounds like necessary activities! I do want to find a baby gymnastics class for Baby Bach, as he is quite the climber too! For swimming I decided not to sign him up for classes like I was planning on, and instead we just go to drop in classes when we have time (and he isn’t napping through that time!) and it is a lot cheaper for us. He SOOOO loves the water, I wish we went more often!! And yes on the skating and the Hockey! We don’t live in Canada, but the border is less than an hour away. And we live in Michigan, so we are huge Red Wings fans!! I’m sure little MPB will appreciate all of it!! Have fun!!! I’d love if we just had drop-in parent and tot swimming – that would be ideal. But, ours are all weekly pre-registered classes. The other option would just going to a public swim time, but I’ve never managed to actually go to one, so I know I wont. public swim is what we do too, not the actual classes. Well, when we actually get a chance! Which hasn’t been much! The gymnastics class I found is only 30 minutes, have to pay by the month, I’d like to drop in and see if it is even worth it before I pay for a whole month though!! I’d definitely see if you can do a drop in to try to gymnastics before your commit! That would be a great strategy! Most of Little MPB’s classes are all 30 minutes. Gymnastics is the only 45 minute one. They let kids that young skate at community centers? Out here, at the minimum the kid has to be 4 to enroll for a group session.. I was shocked that skating starts as early as 2 years old! It’s obviously a parented class so either Mr. MPB or I will be on the ice with Little MPB (likely Mr. MPB). But, I honestly have no idea how 2 year olds even attempt to skate – it should be cute/funny/entertaining. I’m not a great skater either, I can do it well enough, but I’d be very nervous about being responsible for Little MPB while I’m on skates! Little MPB will probably be better then me within a year at most! But Mr. MPB played hockey throughout his childhood, so he’s going to be the one teaching Little MPB to skate! They all sound so fun!!!! I can understand the anxiety of having so many things but it sounds totally manageable! Enjoy!!! You are a crazy woman!!! Good for you though. It sounds so much fun! I will do the exact same thing. Our town sends out a fall and spring booklet of all the offered activities. I already see this as a problem. Side note, didn’t you say November was going to be an insane month for you and the Mr.? November is our crazy month. And we are already fully immersed in the crazy. We will be signing up for gymnastics as soon as my son is 18 months as we also have a climber! We also already do swimming because as Australians it is incredibly essential, water everywhere! It is part of the Kids alive do the 5 song (youtube it, it will get stuck in your head mwahahaha). Skating sounds fun!! We’ve found gymnastics great for our climber so I really recommend it.